This picture has been up on my computer screen all week. I really love this idea and may have the perfect place to try it out. 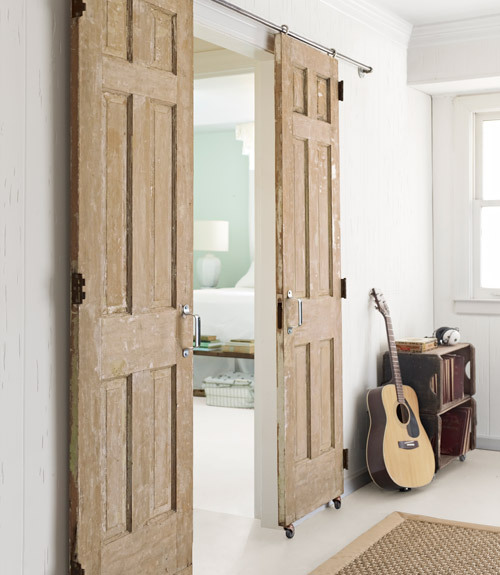 LOVE barn doors. This version is great and it would be an ideal solution to your issues. They looks wonderful Angie, and would help you perfectly to get more place in your tiny bathroom! Love this idea!!! I think it would be cool down there. Hope you are well, Angie! Super cool Angie. Sounds like a great solution to your predicament. That would be really cute Angie.